Make a difference this Festive Season – Sponsor a Peer Educator! Align-Ed Foundation invites youth and employees from youth focused not for profit companies (who align with learning and education as part of their services) to participate in the implementation of the Choices™ board game within the communities that they serve. 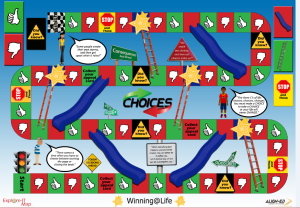 Align-Ed Foundation and SA Learns, our cause marketing campaign, partners with transformative learning providers and not for profit companies as a means to market and engage people of all ages in and with transformative learning events, in this case, the Choices™ board game. Learning components aimed at living an empowered life. The game is supported by additional learning prompts and tools that are aimed at reinforcing the messages and learning gained from playing the game. Align-Ed Foundation and SA Learns invites you and your organisation to sponsor the training of a Peer Educator/s from Align-Ed Foundation and SA Learns partner Thola Umsebenzi or from a cause of your choice. The requirement is that suitable beneficiaries (causes) that fit the objectives of the SA Learns and Choices™ strategies. Our first group of Peer Educators is to be trained during the first week of December 2015. This, so that during the December school holiday break, the Peer Educators can be out in their communities playing the board game whilst the youth are on school holidays. The game provides the impetus for teens in communities to exercise their free will in making more empowered and positively informed choices. The overall objective of the Peer Educator Programme is to equip young people with the ability to facilitate the Choices™ board game. Their own experience of the one day Choices™ Workshop during which they will be exposed to the Choices™ board game as a participant. 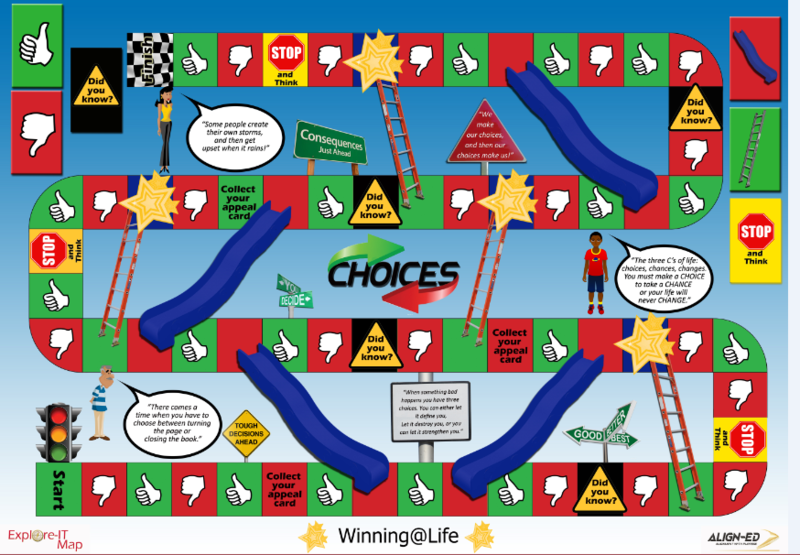 Choices™ board game facilitator training and assessment – which will equip the Peer Educators with basic facilitator skills to deliver the Choices™ game. A memory-stick with the videos and music that is part of the SA Learns experience. Opportunities for those Peer Educators that exhibit potential for further development are numerous. Align-Ed Foundation and SA Learns through the Peer Educator Gap year offers additional opportunity for promising Peer Educators to be further developed as Facilitators of the Choices 1 day workshop. As licensed Choices™ Facilitators, participants would be able to contract out their services to Align-Ed and or Choices™ User License holders. In addition part of the gap year training will equip Peer Educators to sell Choices™ products and services with an option based on performance, to develop their own businesses. Further opportunity exists to develop learning and development co-operatives from the Peer Educator membership as a means for economic development within communities. Align-Ed™ Peer Group options provide an exciting platform for broad based black economic empowerment of South Africa youth.